I got contacted by Anthony on the same day that this amazing proposal took place! I’m getting used to the fact that many of my clients end up calling me like a couple days or the day of their proposal and I’m honored to do every single one that I can! 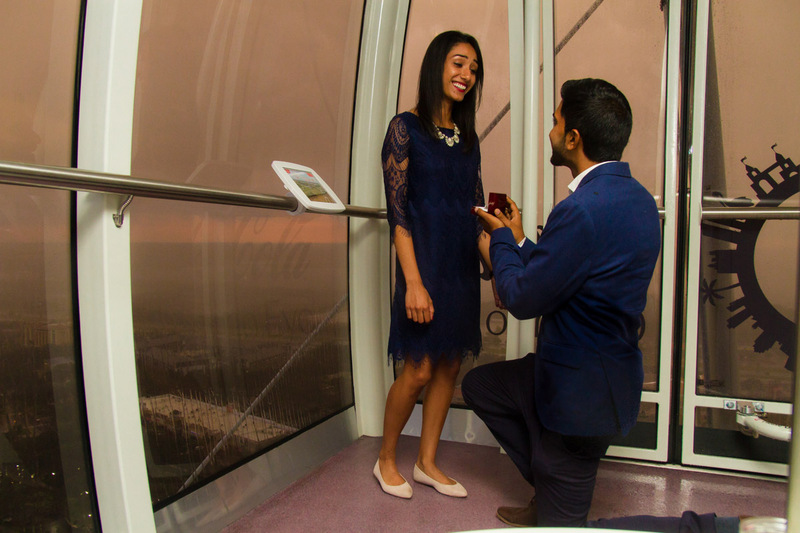 Once I booked Anthony, I immediately started the planning process and he wanted to propose on the Eye! Since the capsule is not huge I couldn’t really hide so I had to play a cover story that I was Coca Cola’s Media Relations! We managed to get a private capsule where normally 15 people are crammed in there. 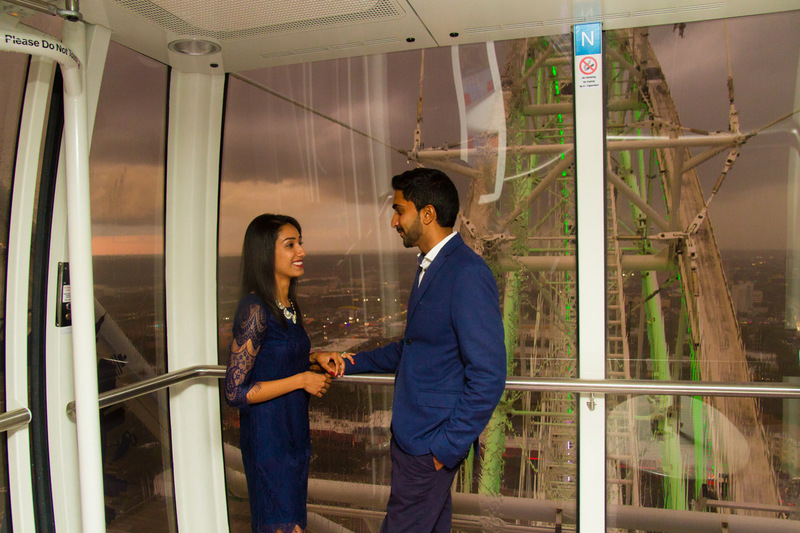 My cover story played off really well with them so we waited when we reached the top of the Eye where the plan was to propose! 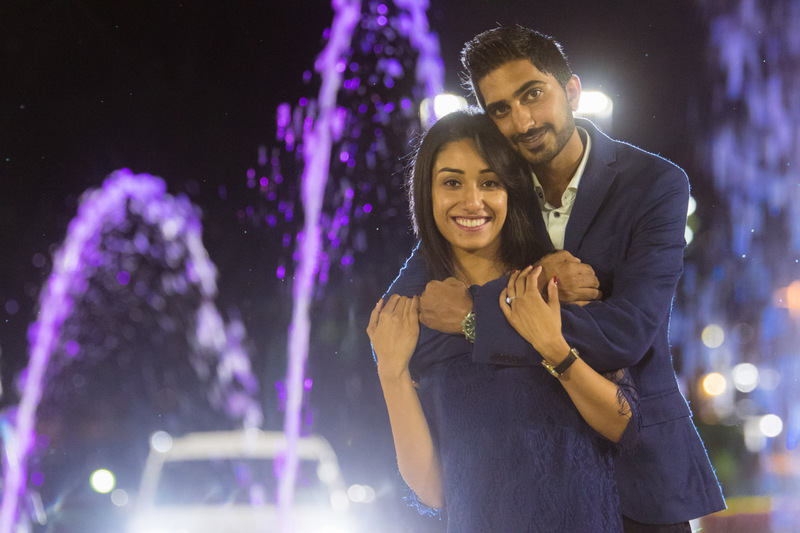 You can probably tell that she said yes when he popped the question! Anthony originally wanted to propose in Sarasota but Southwest lost his bag so it had delayed it which led to booking me which was even more fabulous! Well without further a due enjoy this teaser and there will be more on the way!